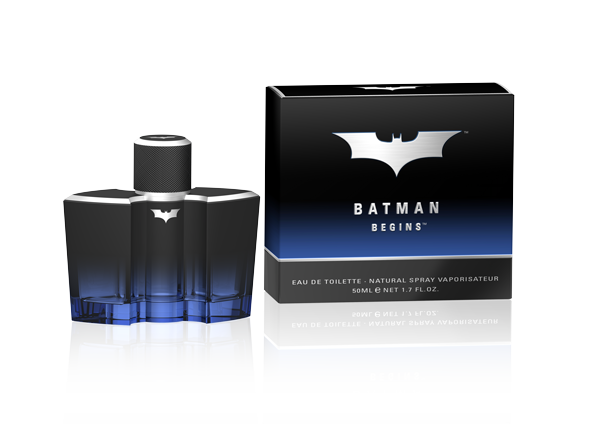 Inspired by the Dark Knight Trilogy the LUXESS GmbH created two fragrance compositions, Batman Begins and Batman – The Dark Knight. Both compositions reflect the exciting atmosphere of the films in a unique way. In doing so, the company relies on the strong attractiveness of the Batman brand, which stands for a masculine role model: smart, mysterious, strong, brave and admired. That’s the way the consumer feels with this fragrance. new combination of design and fragrance. with an innovative, unique and dark reinvention. 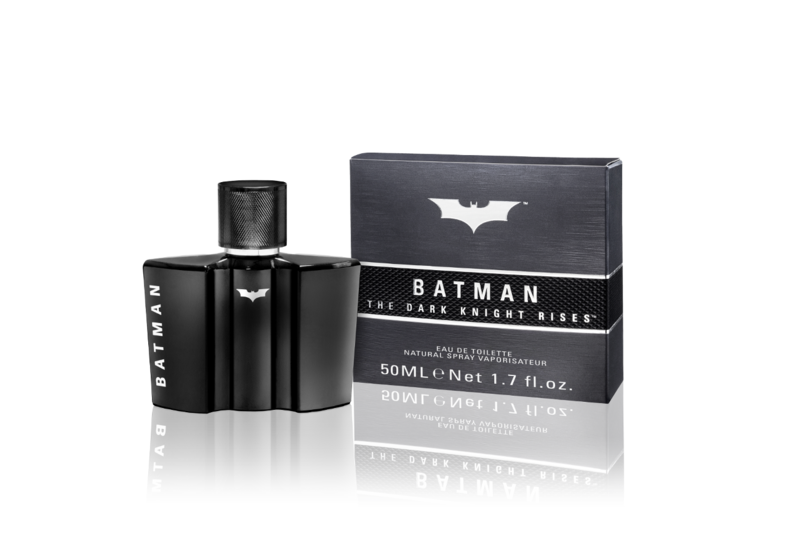 “BATMAN – THE DARK KNIGHT RISES” is a truly inspired new combination of design and fragrance. The Dark Knight Trilogy product line comes to a spectacular end with an innovative, unique and dark reinvention. reflects the exciting atmosphere of the film in a unique way. faces each task bravely and with full devotion. Mysterious and masculine – these characteristics represent the new fragrance, Batman – The Dark Knight. Inspired by The Dark Knight Trilogy a fragrance composition was created which picks up and reflects the exciting atmosphere of the film in a unique way. 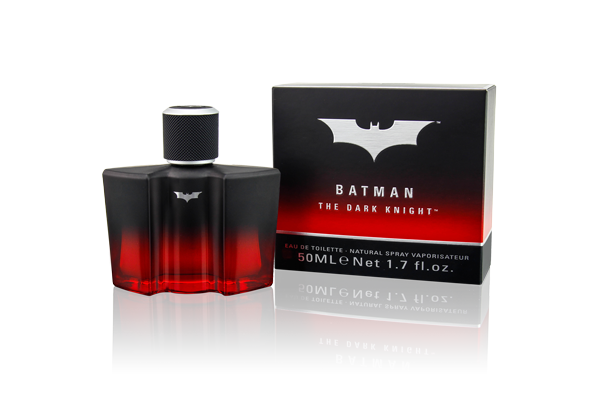 Batman – The Dark Knight is a fragrance for the confident man who faces each task bravely and with full devotion. mysterious, strong, brave and admired. „Batman Begins – The New Dark Fragrance for Men is a product that appeal to the adult fan of the successful Dark Knight film trilogy. In doing so, the company relies on the strong attractiveness of the Batman brand, which stands for a masculine role model: smart, mysterious, strong, brave and admired.